March 4-6, 2019 – AFCEA’s Lexington-Concord Chapter hosts New Horizons Symposium in Newton, MA; S4 volunteers on both planning and sponsorship committees. 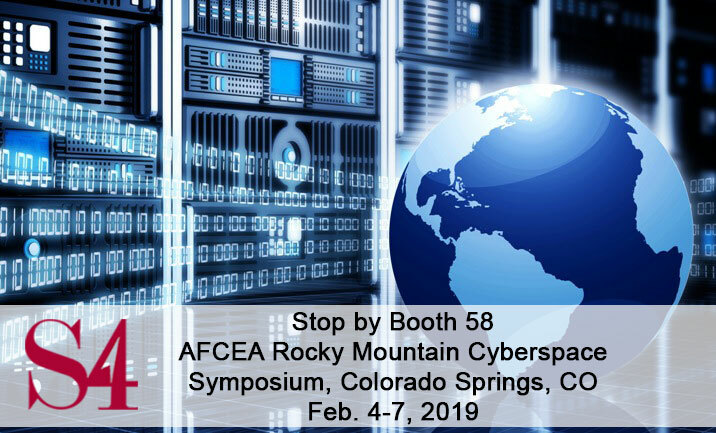 February 4-7, 2019 – S4 Inc. supports AFCEA’s Rocky Mountain Cyberspace Symposium (RMCS) as an Exhibit Sponsor and Volunteer. December 12, 2018 – The NORAD Tracks Santa® Program uses technology to spread goodwill by tracking Santa’s flight and sharing updates with children around the world! S4 Inc. is thrilled to provide IT support and volunteer Santa Trackers for a second year as an official NTS Program Team Member. 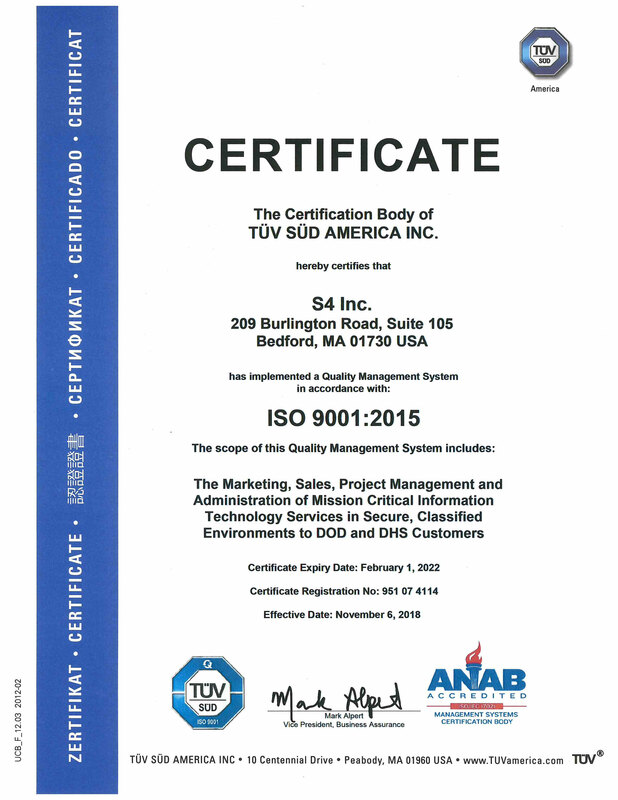 August 14, 2018 – Inc. 5000 names S4 Inc to their List of Fastest Growing Private Companies in USA for the 8th time! June 4, 2018 – S4’s Greg Harris continues to provide leadership and planning support of the National Cyber Summit to be held 5-7June in Huntsville, Alabama. This event helps prepare attendees for the ever-evolving cyber threat with training, education, and workforce development. May 5, 2018 – S4 Inc., in partnership with For One For All and First Responders Foundation, presents Ruck/Walk in Omaha, NE; Event to raise awareness of issues facing veterans, first responders and their families. March 5-8, 2018 – AFCEA’s Rocky Mountain Chapter hosts annual Cyberspace Symposium (RMCS 2018) in Colorado; S4 Inc contributes as an Exhibitor and volunteer. February 27-28, 2018 – S4 supports the Armed Forces Communications & Electronics Association (AFCEA) New Horizons Symposium in Newton, MA as both a silver sponsor and volunteer. This event promotes exchange between government and industry while raising funds for STEM education. January 10, 2018 – S4’s Omaha, Nebraska office to host Employment Open House on Thurs., January 18 between 3pm – 7pm. Click to see or hear details!